The animation shows what the eclipse approximately looks like in Oroville. Stages and times of the eclipse are outlined below. All times are local time (PST) for Oroville. Transit ongoing during sunrise Mercury Transit is already ongoing during sunrise in Oroville. Nearest Sun's center Mercury is closest to the center of the Sun as seen from Oroville. 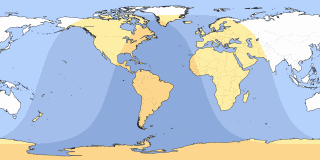 Sun close to horizon, so make sure you have free sight to East-southeast. The animation shows what the 2019 Mercury Transit will approximately look like from Oroville. Note: Click on the date link for details in Oroville, or the path map image for global details. Currently shown transit is highlighted.